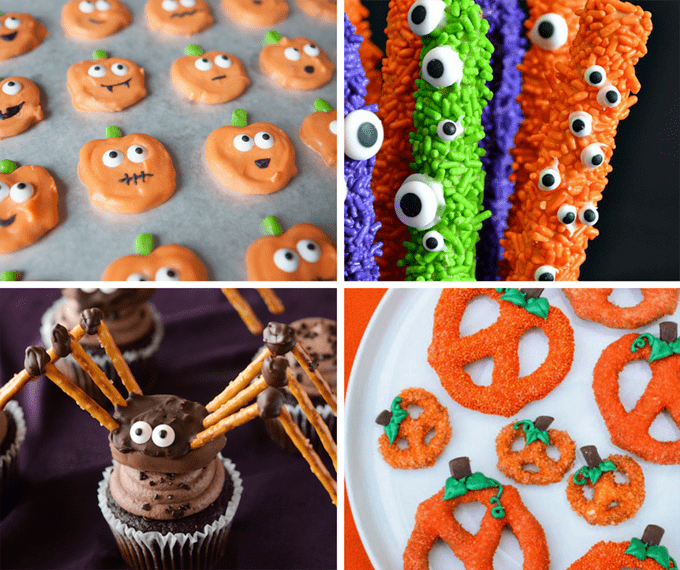 A roundup of Halloween pretzels treats — Fun Halloween party food! 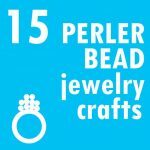 Why pretzels? Because pretzels are easy. 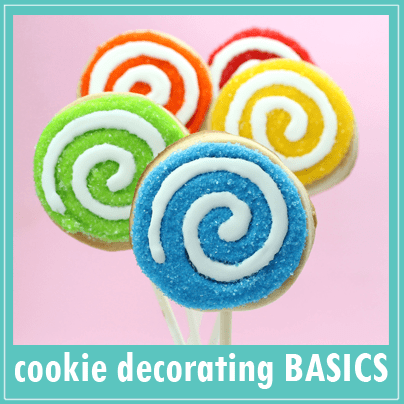 Half the work (the canvas to decorate) is done for you by the good pretzel-making people. 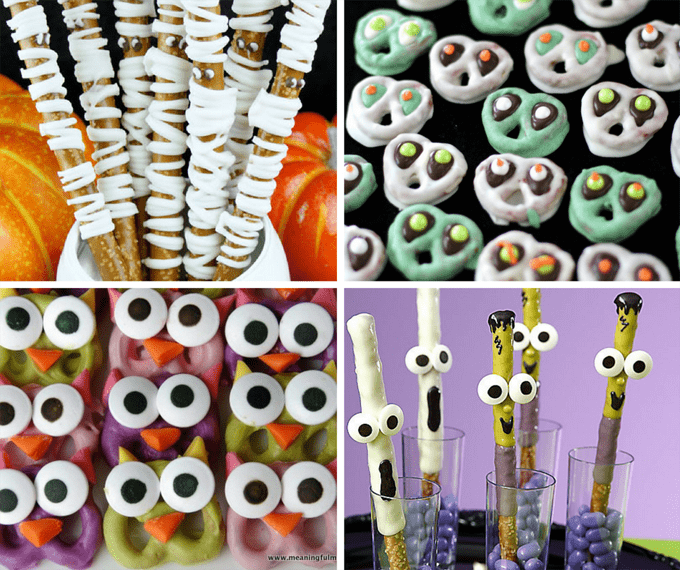 So buy a bag of sticks or minis or rods and you’re on your way to Halloween food crafting. Another reason? That chocolate sweet and salty combination is just divine. 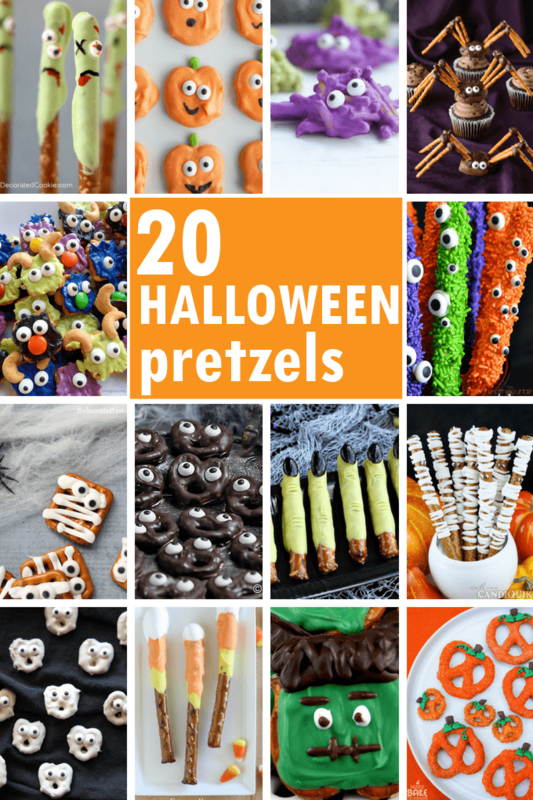 Here are 20 Halloween pretzels treats to whip up for your Halloween party or classroom party or just for fun. Or make zombie pretzels here. 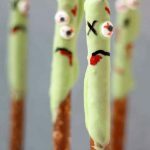 Make Frankenstein pretzels at Two Sisters Crafting. Or try these Frankenstein pretzels at Pink Cake Plate. 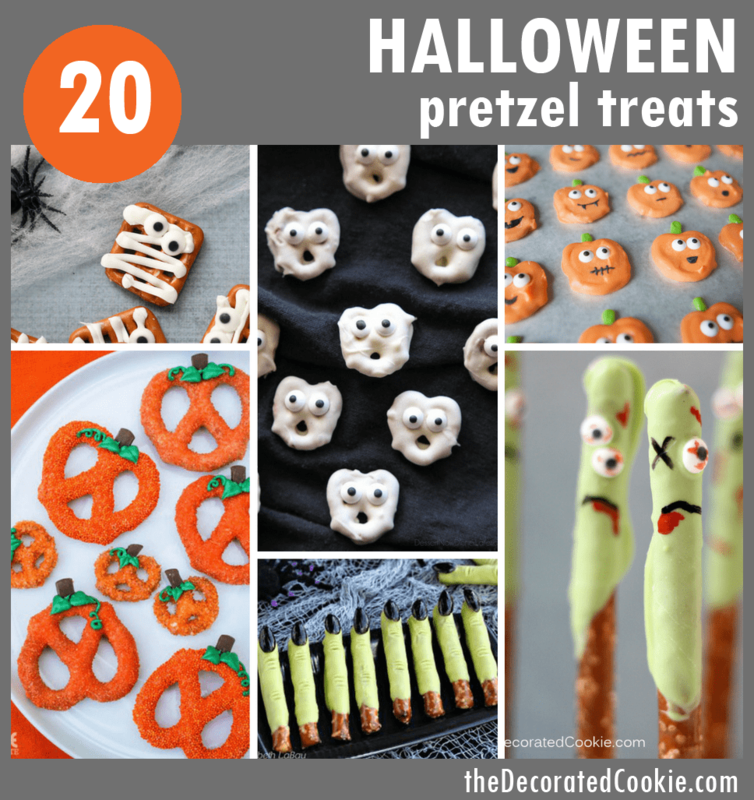 Make Jack O’ Lantern pretzels at Simple as That. Make eye of newt pretzels at Lady Behind the Curtain. Make chocolate and pretzel spiders at The Novice Chef. Make pumpkin pretzels at Make Bake Celebrate. 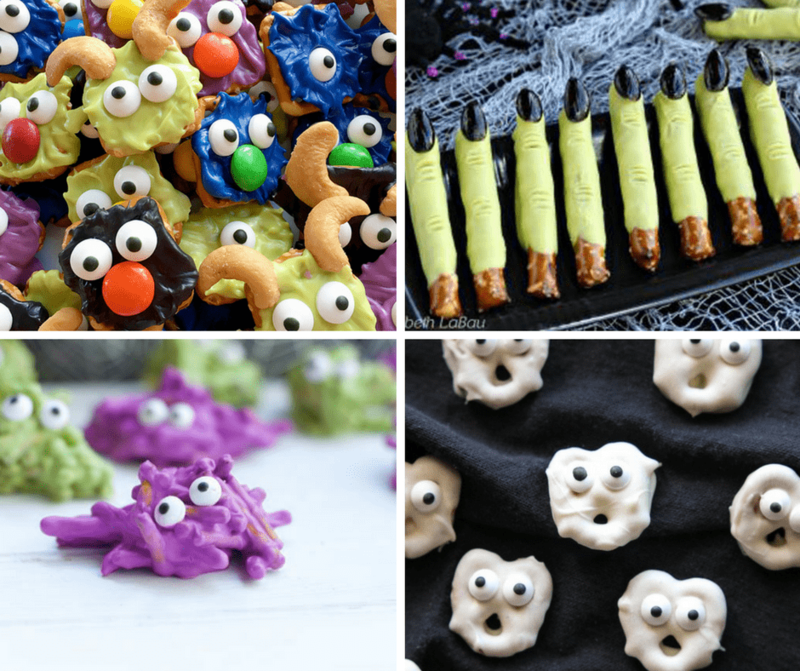 Make monster pretzels at Living Locurto. 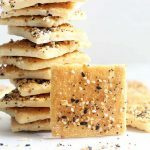 Make witch finger pretzels at About.com. 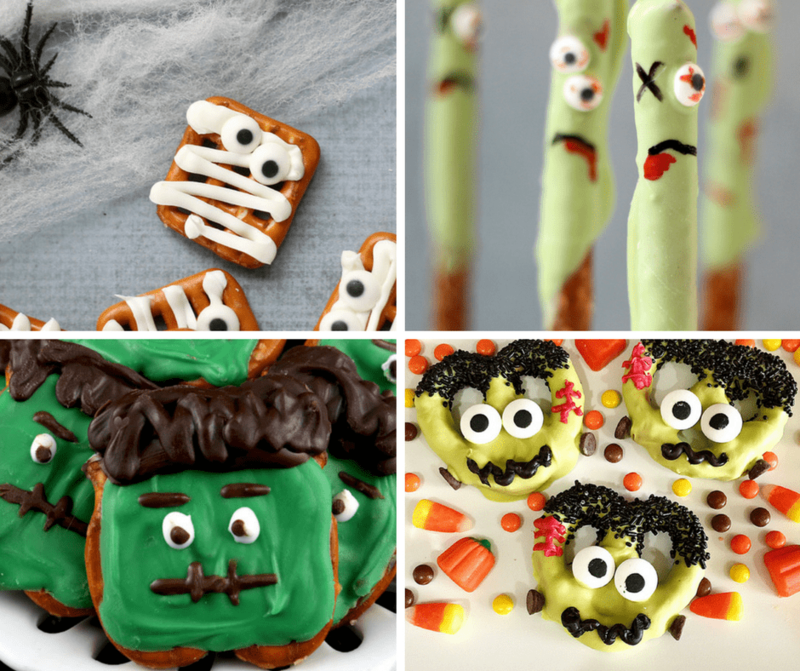 Make Halloween monster pretzels at Close to Home. 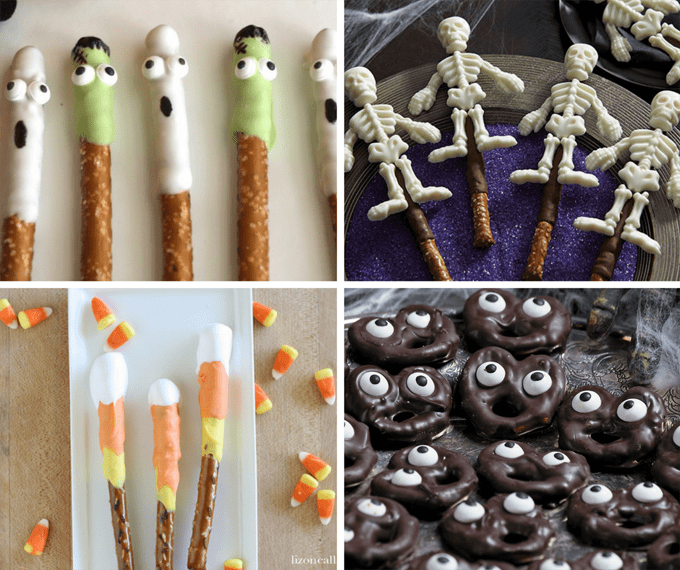 Make ghost pretzels at Dessert Now Dinner Later. 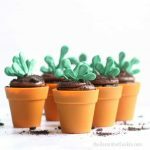 Make these Frankensteins and ghosts at Catch My Party. 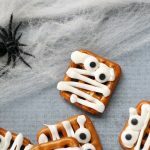 Make skeleton pretzels at Wilton. 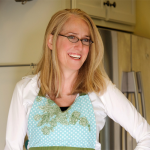 Make candy corn pretzels at Liz on Call. 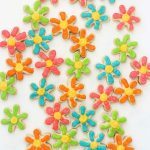 Make screaming pretzels at Oriental Trading. Make mummy pretzels at Miss Candiquik. Make alien pretzels at Butter with a Side of Bread. 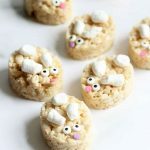 Make owl pretzels at Meaningful Mama. Make monster pretzels at Party City.